Do expressions of our digital personae have to begin and end in a series of ones and zeros or can they be articulated as tangible manifestations in the physical world? Every day, 500 million tweets are sent. But what happens when these digital ephemera become sensorial manifestations in the physical world? In this installation, an auditory link is created between our digital personae and the ‘real’ world. The custom-built VIBE machine mines Twitter’s Application Programming Interface (API) to reconfigure the emotional state of its community of anonymous users and amalgamate them in sound. The VIBE gathers individual emotional expressions to create unique soundscapes reflective of the ‘collective’ emotional state of the Twitter community at any given time. In a spirit of playfulness, the VIBE can be played by Twitter followers and seeks out interaction with them, mimicking human characteristics by posting Tweets to its own account. 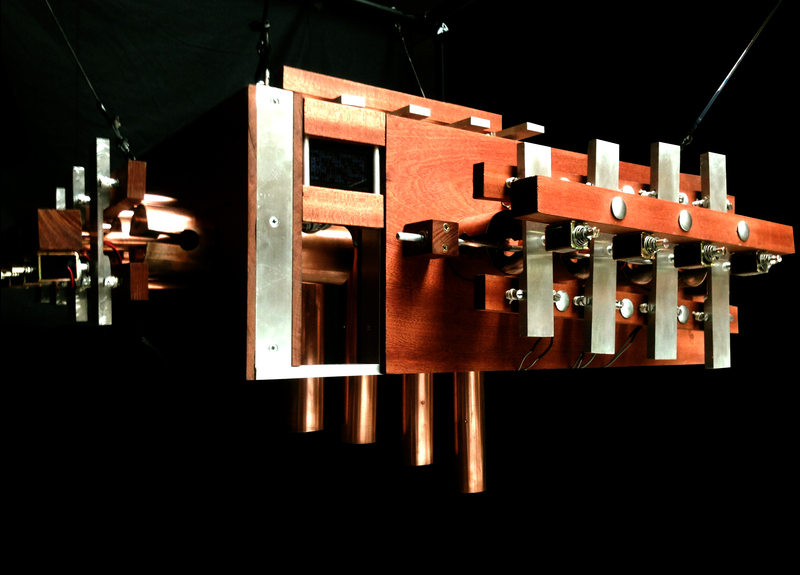 Cian McLysaght’s work explores the intersection between physical computing and kinetic sculpture.